Breastfeeding positions - A2 poster (printed on durable PVC). Posters can be used to show, explain and explore different breastfeeding positions and their benefits. 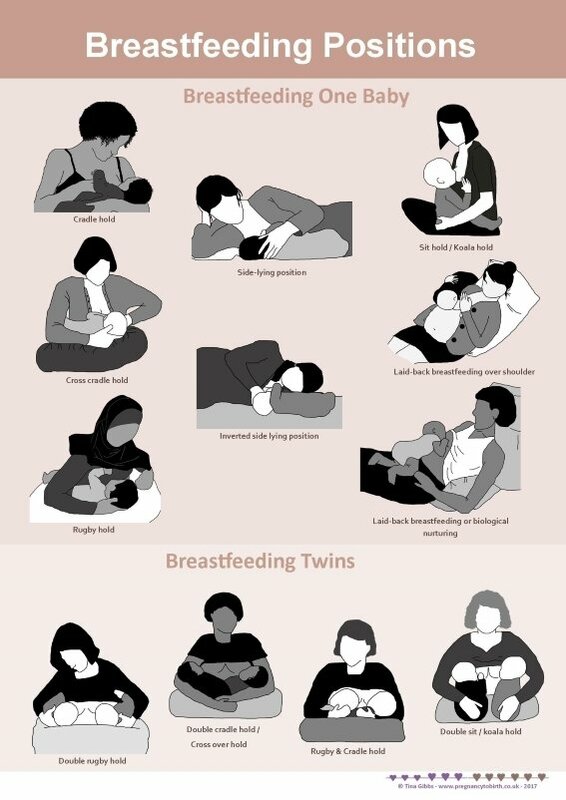 Poster also shows breastfeeding positions for mothers of twins.